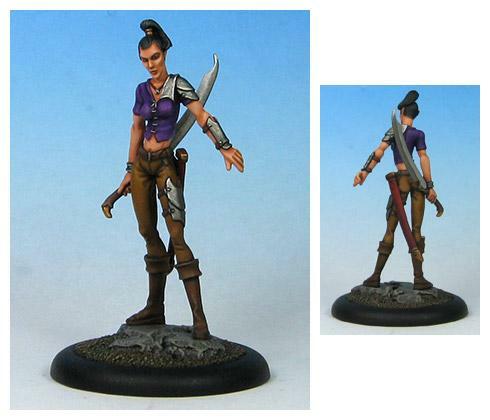 Spyglass Miniatures - first project of Steve Buddle. After that he create Eolith Miniatures. 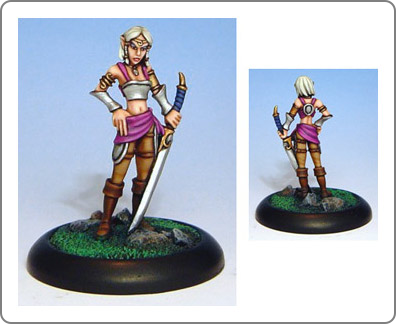 Spyglass is best described as a boutique miniatures company as an outlet for the sculptures of Steve Buddle (that's me by the way). I've been a part of the miniatures hobby for just over twenty years now. I started off just painting random miniatures for fun back in my school days and later started playing wargames. Mostly fantasy and sci-fi games as I've never really gone for the whole historical thing, probably due to my horrendous lack of historical knowledge. I was put off history in secondary school where the teachers really knew how to make history sound like it really should stay in the past. I started sculpting figures in 1999 after an incident with an entry for a painting contest. It went seriously wrong and, for reasons I wont go in to here, I ended up needing a replacement figure that I couldn't get in time for the contest. My only hope was the roll of greenstuff (that's a sculpting putty by the way) that had been lying unused on my shelf for the previous few months. The sculpt went better than expected, and I was having thoughts that I might be able to make something of this. I was working as a professional miniature painter at the time and the money wasn't good. I knew that sculptors made better money so that's the direction I moved in. I worked for many companies on a freelance basis over the next few years honing my skills but eventually felt I wanted to try my own range. I wanted to sculpt the kind of minis I wanted to paint as I really wasn't seeing that kind of miniature elsewhere very much. The basic design philosophy is to keep extraneous detail to a minimum. I find a lot of miniatures are festooned with unnecessary clutter. I find this annoying to paint and prefer a 'blank canvas' approach, giving the painter room to express. 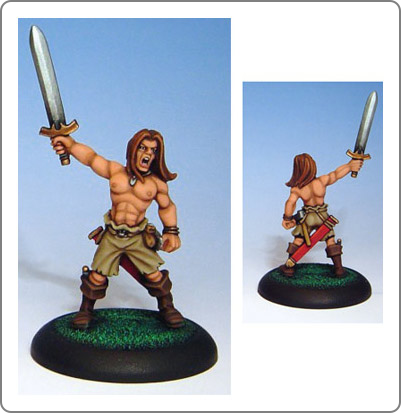 I was ecstatic to see that the first batch of painters to get their hands on my Spyglass miniatures were all coming up with different ways to paint them. I really didn't want to force the painter into a corner as to how they designed a colour scheme. This was the better part of five years ago (at the time of writing this little introduction). In the meantime I've let myself experiment with styles of sculpting within the framework of my original plan. Well, after an absence of eighteen months or so, Spyglass is back and I've got all kinds of diabolical plans for the future.